Cairo… the ancient city of thousand shapes, colors and smells. And of Pharaohs, crocodiles and assassins. It won’t be easy for Assil to get an audience at the palace to get rid of his death curse. Even worse, the number of his foes is growing faster than his curse takes posession of him. And that’s already quite fast. Only a keen mind can save Assil from certain death: You! 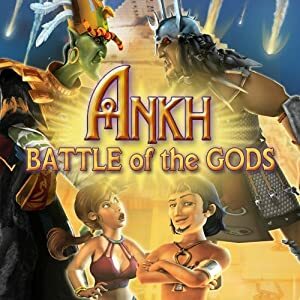 During his quest, Assil meets a whole bunch of weird people, from happy slaves to frightened crocodiles and finally Osiris himself, the god of the underworld.